If you’re involved in a car accident, it’s important to maintain your composure at the scene. 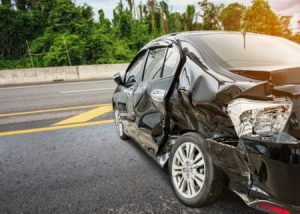 What you do and say in the immediate aftermath could influence your ability to recover compensation for medical bills, vehicle repairs, and other damages. Police will direct traffic away from the scene, obtain statements from witnesses, and conduct any necessary chemical tests. They’ll also draft an official report, which the insurance company and your attorney can use as a starting point for investigating liability and damages. Getting into a car accident is inherently stressful, and some people handle it better than others. Tough you should exchange information with the other parties involved, it’s important that you avoid heated confrontation. If anyone becomes loud and aggressive or appears to be under the influence of drugs or alcohol, keep your distance until police arrive. Additionally, if someone tries to flee the scene, don’t chase after him or her. Simply write down everything you remember about the vehicle and wait for law enforcement to arrive. Once it’s safe to walk around the scene, photograph all the vehicles that were involved from multiple angles. Don’t forget to capture both small details like skid marks and larger details like nearby traffic signals. You should also photograph the insides of vehicles to document deployed airbags and bloodstains. You may be inclined to apologize, especially if someone else sustained serious injuries, but doing so could be misrepresented as an admission of fault. You should avoid any statements that might be taken out of context to dispute liability. When it comes time to build your claim, you’ll need each motorist’s name, driver’s license number, and insurance policy number. You’ll also need the names and phone numbers of any passengers or other eyewitnesses so your personal injury lawyer can obtain statements. Finally, get the names and badge numbers of all responding officers. Although you have the right to refuse care at the scene, it’s wise to undergo an evaluation as soon as possible, even if you feel relatively fine. Some impact injuries do not manifest immediate symptoms, but they can cause complications if left untreated. If your decision to forego the medical evaluation causes your injuries to worsen, this could lead to a dispute that has the potential to reduce your financial recovery. If you were hurt in a collision with a drunk, distracted, or reckless driver, contact Charnas Law Firm. We offer the resources of a large practice but provide the personalized counsel of a small firm. Representing injured parties throughout New York and Massachusetts, attorney Scott Charnas has recovered numerous six- and seven-figure financial awards for his clients. Call 212-980-6800 or fill out our Contact Form to schedule a free, confidential consultation with a car accident lawyer in New York City.